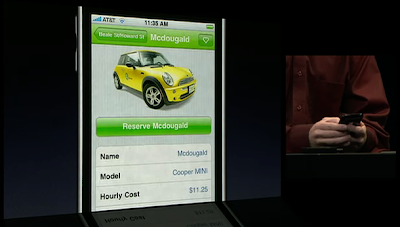 In case you missed the keynote yesterday at the WWDC, Apple presented a few new items including the new iPhone 3G S. And just like with MINIs, the "S" makes it go faster. 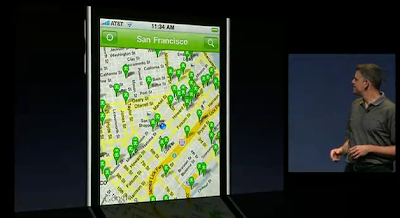 ;-) Zipcar also introduced there new way to find nearby cars and reserve them via their new app. During their demo, they found a Prius nearby but opted for the MINI instead for the fun factor. And just in case when you finally get to the location and you just can't find the car parked, you can sound the horn from your phone. How cool is that! It's like when I call my own cell when I misplace my phone in the house. The keynote is posted here and skip to 1h33m for the Zipcar presentation if you don't want to watch the whole thing. Not really a milestone but more for helping myself remember when I rotated my tires. I really can't recall when I last did that but I know it's been a while. So I decided to get a little dirty and rotate them myself this passed weekend. While I was at it I also decided to clean my wheels inside and out. Now we'll see how long that last but for now the wheels look great. I did notice a couple of nasty gouges in the inside of the rim, probably from road debris, but you can't tell looking from the outside. Here are some photos of the finished product, a couple of days later.